This historic resort hotel complex is said to be haunted by former owner Thomas Taggart, who lingers around the service elevator as musts and phantom tobacco smells. He is said to expertly operate the elevator from beyond when the place gets busy. He also is said to appear riding a horse in the ballroom or down the halls, and holds ghostly parties that the staff have heard through closed doors when no one else is in the ballroom. In other stories here, a red stain appears in a guest room bathtub where a bride committed suicide, and the cleaning staff claim the whole sixth floor is haunted by shadows, breezes, and footsteps, disembodied laughter, and ghosts who call the front desk from unoccupied rooms. Also, a ghostly African-American bellhop has shown up in photos of the bellhop stand. My brother, cousin, and I were staying at the condos that are a part of the hotel last spring break and we had full access to the hotel do we decided to go exploring. We had heard of the haunted 6th and 7th floors, so we went up there and sat for a bit. After about half an hour of nothing, my cousin stated, “If there is someone here, show us a sign” and the mop that was on a maids cart fell out all of a sudden. My wife and I attempted to stay the night on the 7th floor. We were in the last room on the right, across the hall from 2439. We grabbed are things and were walking down the hall when the door of room 2439open and closed as we were half way down the hall. We stopped and looked at each other and the hall lights went off and came back on. We got on the elevator and left. We asked the lady at the front desk if someone was in 2439 and she said no. That was our experience. I used to work there and when i had to go up to 7th floor i would block the elevator from shutting so i could run do my job and run back to get off that floor….Ive had many experiences up there….The lady in white and the guy dressed in a black suit are the scariest bout that floor. The lady in white likes to stand at foot of the bed and the guy is the one that opens and shuts the doors. The lights would flicker everytime i went up there almost like the light was following me! Trust Me, Never stay on that floor!!! they have old and new pictures of the hotel and you can see lady in window in all the pics! Do u still have the pics of it? My friend Rose and I stayed there in 2012. We had a lovely room on the 7th floor. She went down to gamble and I decided to get some sleep. I fell asleep and was sleeping soundly when all of a sudden I was shoved hard in my bed. I swung around to see what Rose wanted…Rose wasn’t there. No one was. but what a wonderful beautiful old hotel. Is,the hotel still open to over-nite guest? Yes, it’s been beautifully restored. It has shopping, restaurants and a Casino attached. The West Baden which is basically next door is unbelievable, it’s also haunted. I was there in 1996 for a high school level state competition for HOSA. The hotel itself was absolutely beautiful and well worth the visit just for that. The first night we were there, a line of severe storms and tornadoes came thru – however, the hotel was spare, but everything north and south of us was severely damaged. Several times when I passed the service elevator on my way to the ballroom, the doors would open on their own and no one was there. I was on the 5th floor and I would hear people in the hallway, walking back and forth and talking in whispers, but when I would open the door, I saw no one in the hall and the whispering would stop. As soon as I would close the door, it would start up again. My guess is with all of the teenagers there, it really supercharged everything. My ex (now) and I was walking around the hotel enjoying all of the pictures and history of the beautiful hotel, as we stepped out to the back patio to enjoy the site of the gazebo at night. It has sprinkled and the concrete part of the deck was dry and the wood part had puddles but not all wet. My ex was looking around and acting silly moving his arms saying he seen a shadow, he ran up the stairs toward the shadow I turned around to see to child size bare footprints behind me and I told him “let’s go in” it was a great experience as any of our trips to French lick resort was at any point of our get aways. 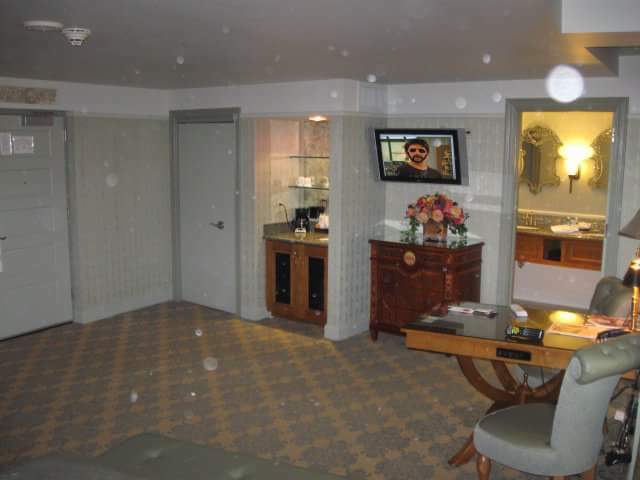 I stayed at this hotel last year, i was just sitting in my room, it was about 12 in the morning and i was just on my computer talking to a friend, then i heard this creaking noise near me, like someone was jumping up and down on a bed, i looked up from my computer screen, and saw this large white orb go from the corner of my bed, right out the door, after that whole fiasco, my aunts woke up to someone pulling on their foot and the sheets being pulled off, All i can say is that it was interesting that night. Back in the early 1970s i lived in a older home with my parents and we heard upstairs walking back and forth. Also had a cross hanging over my bed and one night i seen Jesus eyes light up red and there were no lights on cross to make it do that. And i love Jesus and i don’t know to this day what caused cross to have red eyes. It was really scary. Also basement had piles of dirt down there it was to scary to go down there. This house had old chandlers in it too. Eyes on cross i just wrote about was in downtown Indianapolis,Indiana on Union Street. 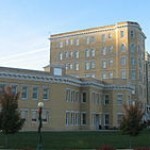 I stayed at west baden one week summer of 2015 qnd I experienced some strange things. 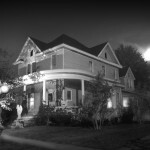 Each night I could hear shuffling footsteps in my room like someone was inside with me. One night as I was almost asleep something invisible grabbed me and tried to pull me out of bed. I didn’t sleep much that night, but I didn’t leave either. I was scared but curious. The next day I was scheduled for a message and I was laying on the table face up receiving leg portion of message. I heard a man’s voice say “hey”, and I thought it was the massage therapist so I opened my eyes and looked the direction of where the voice came from. It was a bluish colored face of a man looking right at me. The face kind of granulated and then dissappeared. The massage therapist was on the other side of the table. I was there around 25 years ago, way before the renovation. My wife got sick late at night, and I had to go the the local drugstore to get some meds for her. The hallway was dim. Probably half the rooms were empty. As I walked, I could hear footsteps behind me and had a strange tingling feeling on the back of my neck. It really felt like someone was behind me, but every time I stopped, the footsteps stopped, too. I finally turned around and nothing was there. Whatever it was, it followed me to the elevator. When I got back, my wife told me someone had quietly knocked on the door three to four separate times. She opened the door the first two times, but nothing was there. I was there visiting when it first started to be renovated. I wish I could find my pictures. My grandma and I took the tour and the tour guide mentioned that some of the business men during the stock market crash would commit suicide by jumping off the balconies inside the dome area. I wonder if that has alot to do with the hauntings. I go to French lick hotel all the time. Five star hotel definitely! When I was there spending time with my family my cousin who was there with me was a door down from me and the elevator was separating us from each other. So I was in my cousins room when I forgot my phone in my room so I said to my cousin I’ll go to my room and get it. As I walked out of his room the elevator opened and there stood a women with a blank expression stairing at nothing she was so pale she was white she was so skinny she looked as she hadn’t eaten in days the strangest thing was she had a flapper dress on black and beautiful as I approached my room the elevator just stood there for a minute I decided I would tell her that I like her dress when she walked out I stood there for a minute and nothing happened I waited for about five minutes still nothing happened finally the doors closed and that was it. the women never walked out. I never saw her there again. Creepy. This picture was taken in our room at the West Baden Inn. This was the only picture taken in the room that had orbs. The picture taken just before and just after didnt. I must say…My family had a wonderful time at this gorgeous historic hotel. We have stayed on several occasions and have plans to go back in the summer. I have stayed there several times and have heard whispering as we were walking down the stone hallways. Very claustophobic and uncomfortable feeling, the decor doesn’t help as well as a red devil being its “mascot”! Have not stayed there because I don’t feel relaxed.